A fun way to delight someone special heading off on adventures, travelling or moving away! 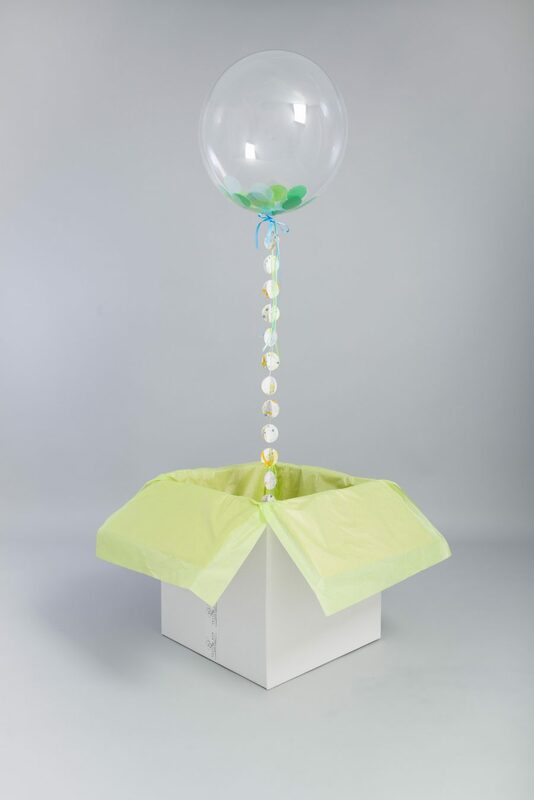 Send a Fetti and Bow balloon filled with tissue confetti and decorated with a hand stitched balloon string and ribbons. Individually boxed, wrapped in tissue and sprinkled with confetti on arrival the balloon will float up and out of the box when opened. 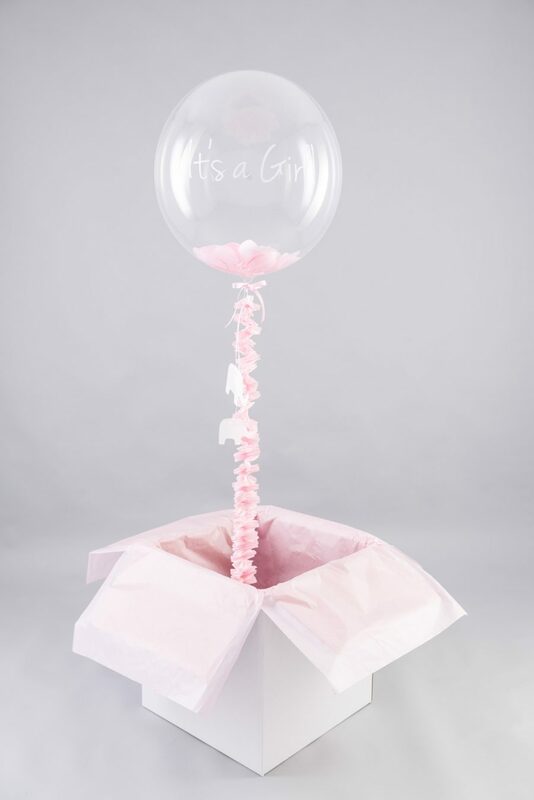 Add a message onto the balloon or include a gift card. Clear plastic balloon measuring 20” filled with helium. 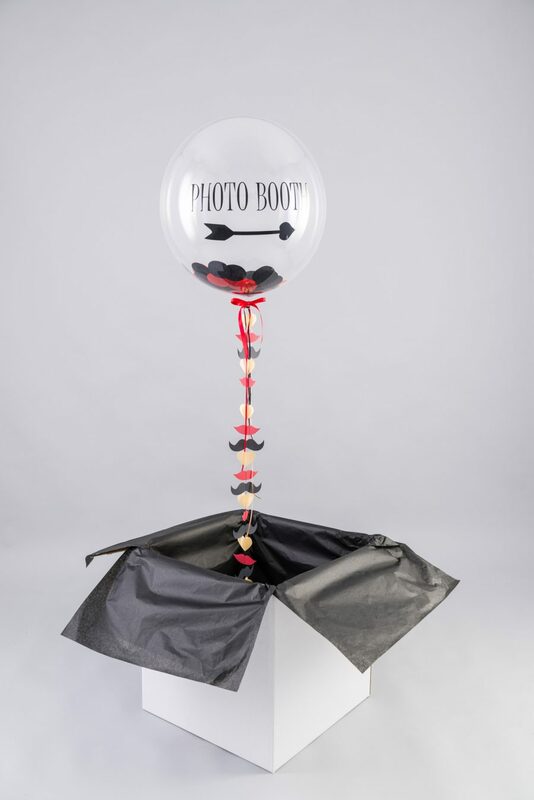 Each balloon comes with a balloon weight. 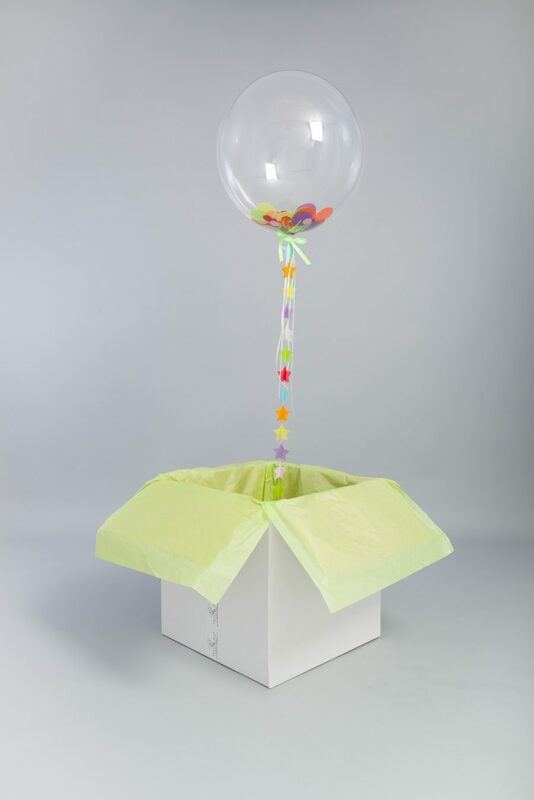 Hand stitched balloon string measures approx. 1.2 metres. Bespoke message orders are dispatched within 3 working days.